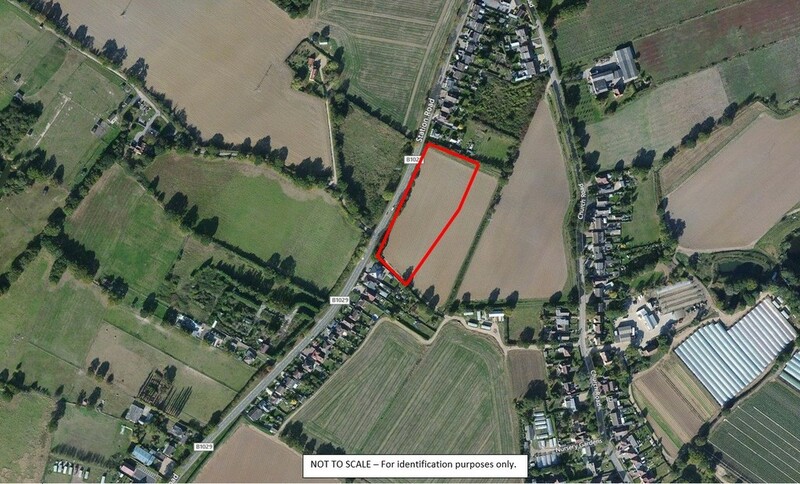 LOCATION The development site is situated in the attractive Essex Village of Thorrington, known for its history, picturesque medieval flint church, stunning farmland views and near coastal location. 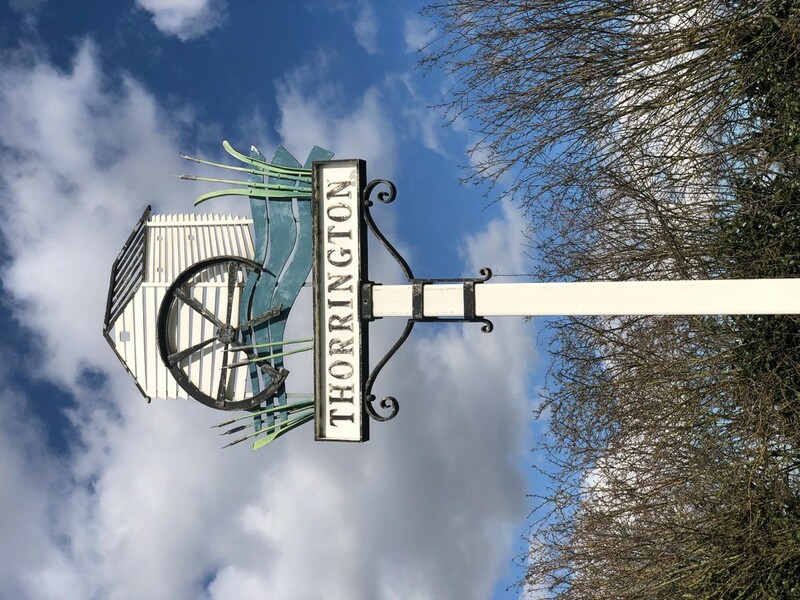 Thorrington lies on the outskirts of the historic and lively town of Colchester (8 miles) and the friendly waterside towns of Brightlingsea (3 miles) and Wivenhoe (4 miles), both of which thrive with activity and local amenities. Thorrington is accessible to the A133 and the A120. 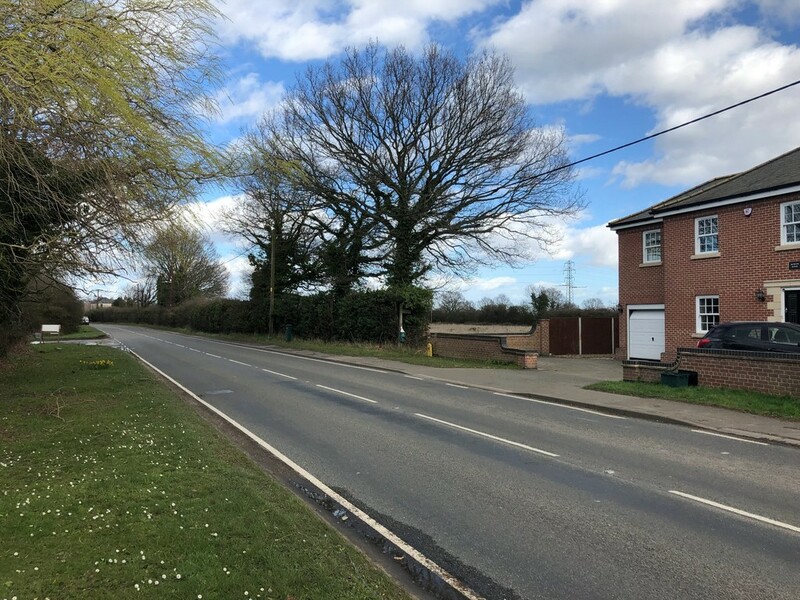 DESCRIPTION Under Registered Title EX766238 the total site extends to approximately 2.39 acres (0.97 hectares) and comprises flat agricultural land. The land is bounded by residential dwellings to the north and south (Morton House) with open fields to the east and west. TOWN PLANNING Detailed planning permission has been granted on appeal, Application Reference No. 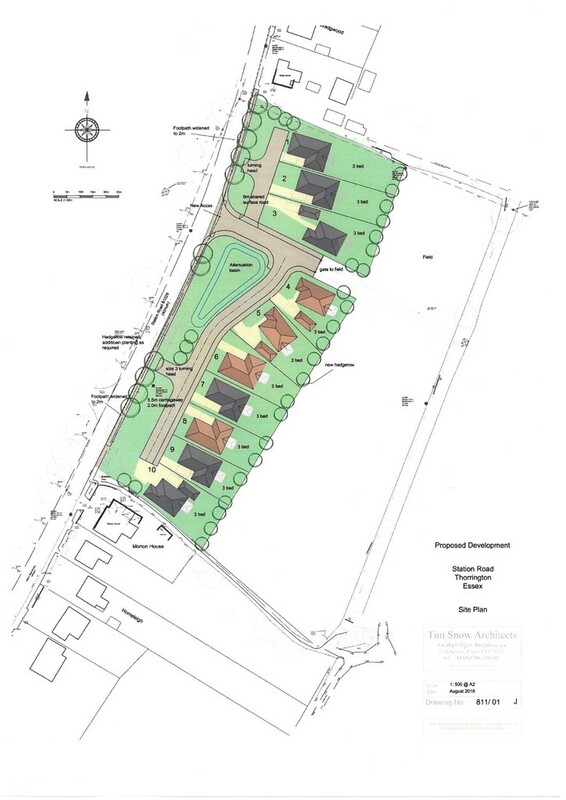 17/00090/FUL for the development of 10 detached three-bedroom bungalows (4 x 1345 sq. ft & 6 x 1119 sq. ft) with conservatories, garaging and parking, situated along Station Road, set back and well screened by hedgerows and mature trees. Vehicular access is taken via Station Road which forms the western boundary. SERVICES We understand mains water, drainage and electricity are available for connection to the property from Station Road. Prospective purchasers are advised to make their own enquiries with the relevant service providers. TENURE The tenure of the site is to be sold freehold with vacant possession on completion. rights of way, access and services for future connection.  The Appeal Decision Notice.  Design & Access Statement.  Flood Risk Assessment - Part 1 and Part 2.  Proposed floor plans and elevations. METHOD OF SALE The site is offered for sale by Private Treaty with a guide price of £950,000, unconditional, subject to contract only. CONDITIONS OF SALE Exchange of contracts within 4 weeks following receipt by your solicitor of the full draft legal documentation with completion to be agreed thereafter but no longer than 21 days from exchange. VAT The property has not been elected for VAT, but the Vendors reserve the right to opt for tax and if exercised the tax shall be payable by the Purchaser. I had a good experience with Percival’s, I recently bought a house through them. They were a great team always there to assist with the purchase, especially Rob who was a real gentleman throughout. I also used Percival’s to value my Commercial property which was also a good experience. Will definitely use again. A great company to with and alongside who are very professional. I would highly recommend. Nicholas Percival is a letting agent who actually does what you expect an agent to do. Their knowledge of the market and their property advice is excellent. Their charges are clear and reasonable. They have access to a number of good tradesmen who charge reasonable rates and do not inflate their prices. I trust Nicolas Percival implicitly with the day to day management of my properties and I have no hesitation in recommending their services to others.